I now have a complete outfit! I used an invisible zipper and this time I took my time with it! I added two strips of interfacing down the centre back and used my regular zipper foot to baste it in. 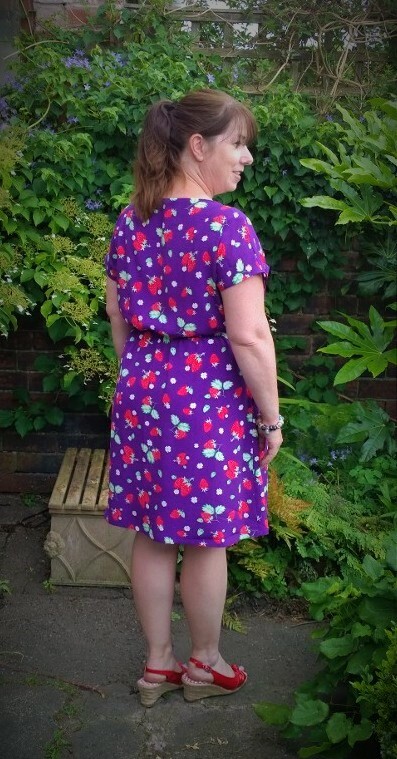 Only when I had matched up the waistband and basted the second side did I feel confident enough to switch to my invisible zipper foot and stitch it down properly! I think I have learned not to sew when I’m tired or to try and rush things as I make silly mistakes and then spend ages unpicking them! I did have a bit of a devil when it came to the final bodice fitting. On my previous Cambie I had used a Rayon fabric which had a bit of give and seemed to mould around me. 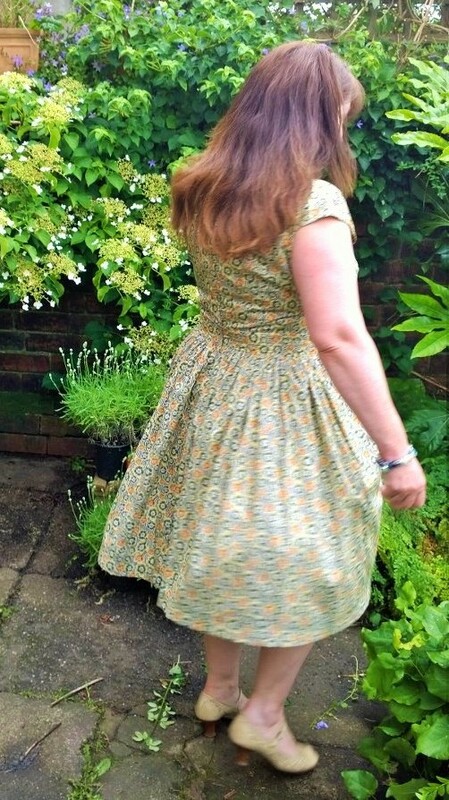 The Tana Lawn, although a dream to sew with, didn’t want to mould! I think I must have tried the dress on a dozen times while I was tweaking it, sewing in my undies in between! It’s so difficult to fit when you are on your own, especially when you can’t see what your back is doing! 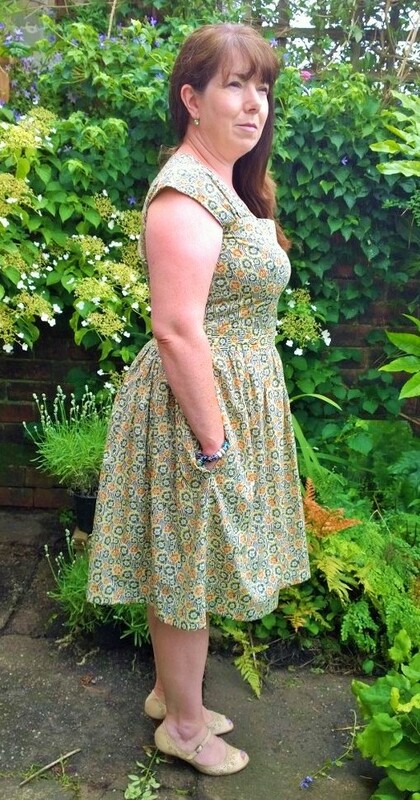 My main problem was that the neckline gaped a bit and I had pull marks about three inches above my waistline. 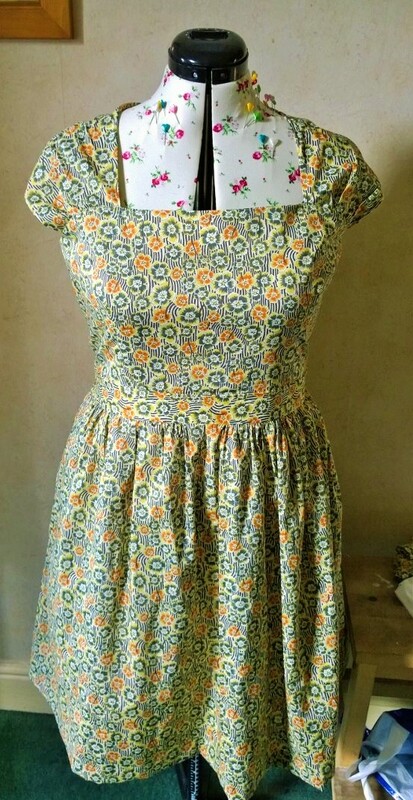 I ended up lowering the neckline by about an inch and a half before resorting to interfacing it! (I have since tried on my first Cambie which also has a bit of a gape but as the fabric flops against my chest I didn’t notice). 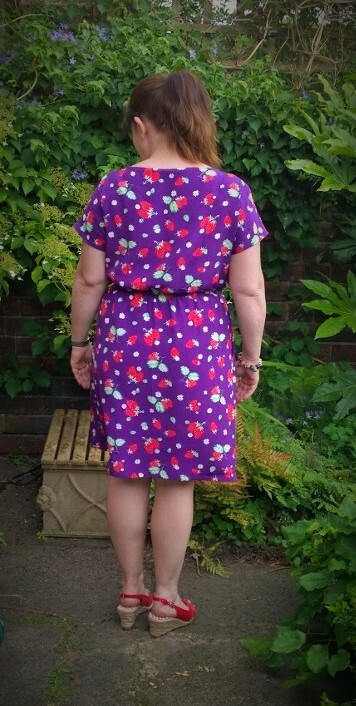 I also took nearly an inch off the side seams before I decided to stop as I was in danger of ‘over-fitting’ and buggering the whole thing up! I think I have to be honest with myself and admit that the pulling at the back and the gaping front are there because I really need to do a full bust adjustment! 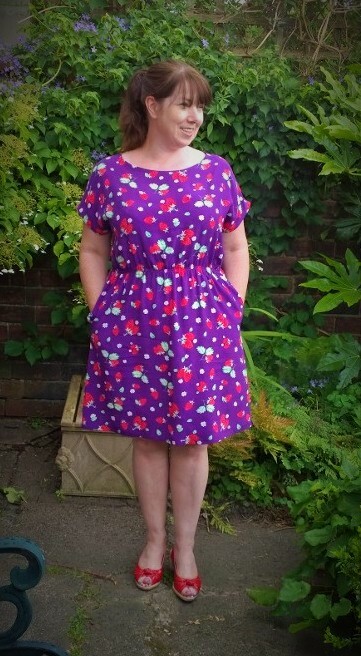 I have avoided doing a FBA since I tried it once with the Colette Rooibos dress and made a real mess of it (probably not the best pattern for a first try seeing as there are SIX waist darts!). A FBA also adds length to the bodice and seeing as I am short and usually have to take an inch of the length I can’t figure out just how much I would have to take off. I think if I want things to really fit well I’m just going to have to get past my fear and have a go, I did put it down as one of my New year sewaloutions so I’ve got another five and a half months to crack it! 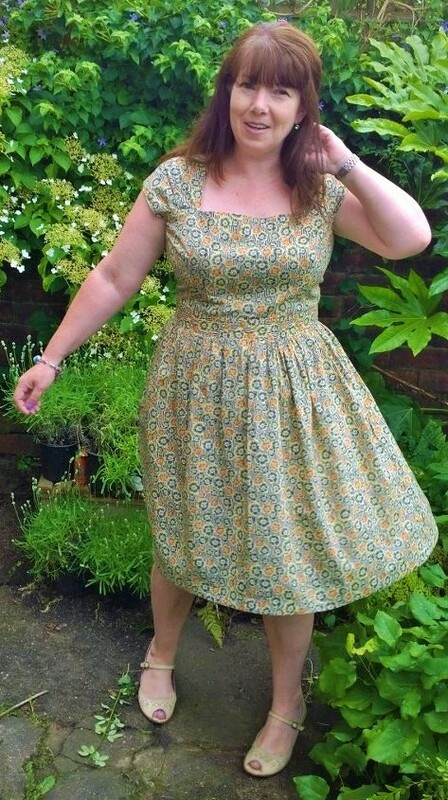 Overall I really like how vintagey this dress looks, the sleeves, full skirt and the nipped in waist are very evocative of the pattern envelopes from the fifties (only twice the size!). 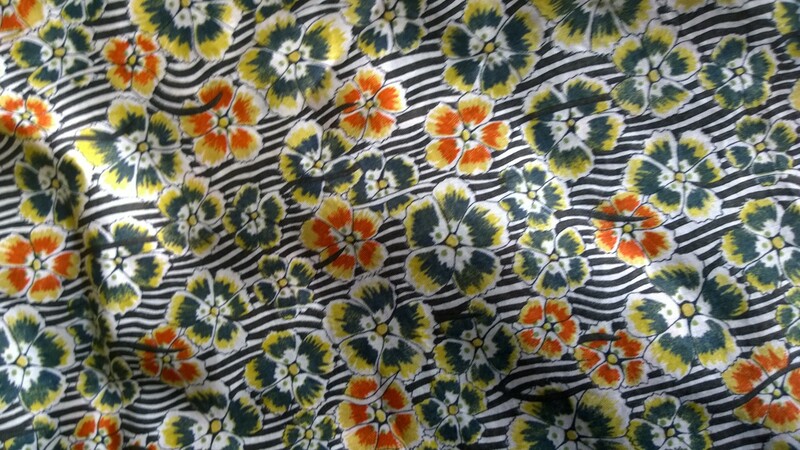 I am quite surprised with how light and yellowy the fabric looks as I thought it would come out darker with the flowers and black stripes. 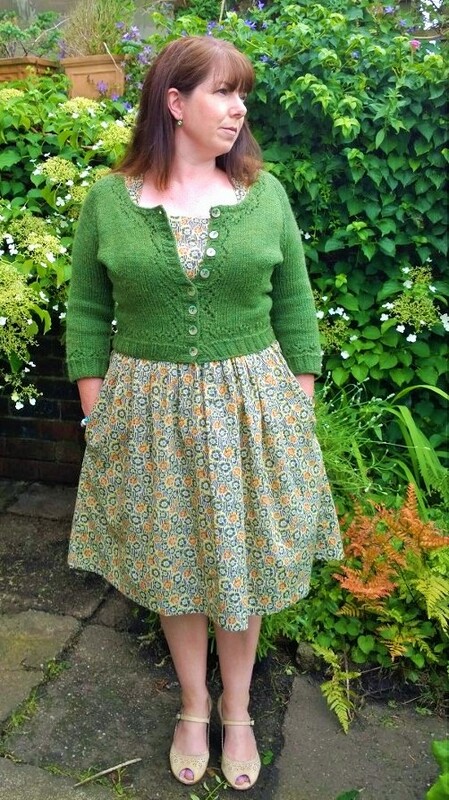 I have spent the past three weeks working on both Cambies and to be honest I feel all dressed out and was just pleased to get it done and out of the way! 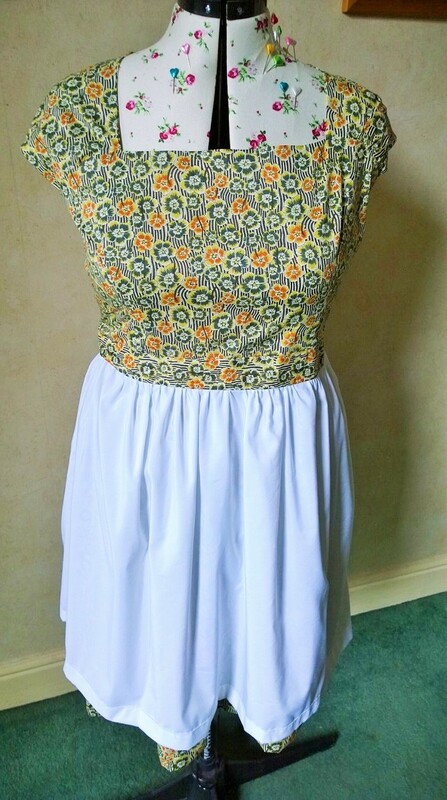 It’s a great pattern and I will definitely make more but I think I need to do some quick fix sewing with some instant gratification to resurrect my sewing mojo. 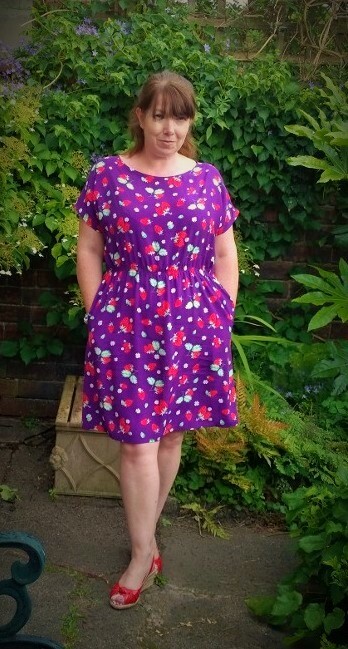 I’ve got my outfit along dress to make but the deadline is not until the end of July so I think I can safely put it on the back burner for a couple of weeks. 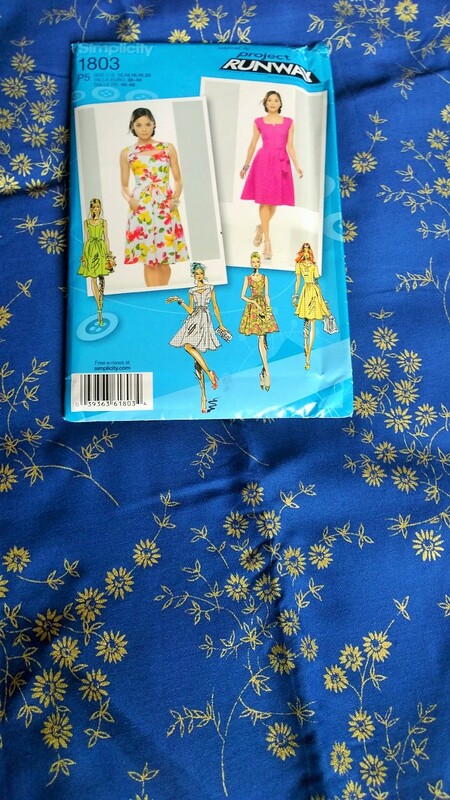 I toted up my list of ‘to sew’ projects the other day and realised I had twenty things in the queue which I’ve got the pattern and fabric for! Now I’ve just got to decide which to start first! 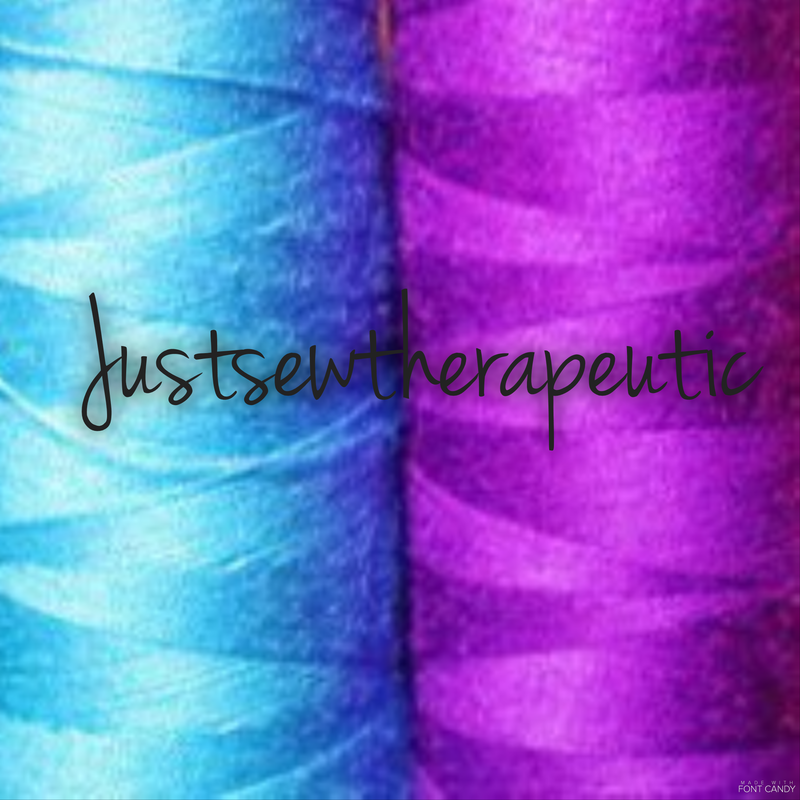 Do you ever experience sewing fatigue? And just to be nosey, how long is your sewing queue?! 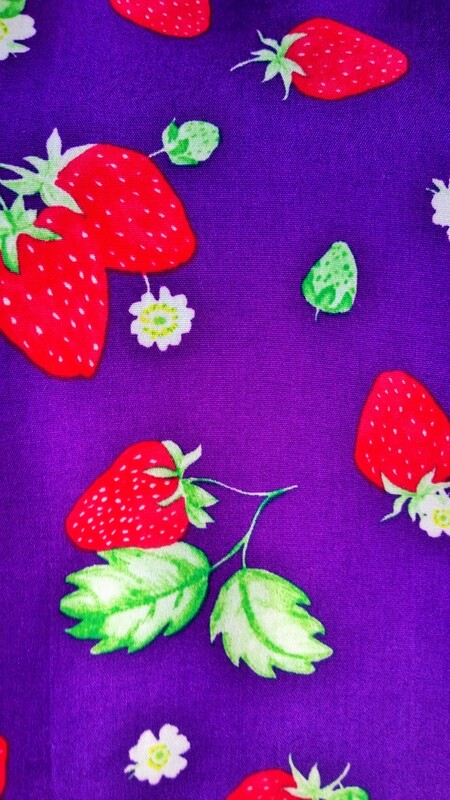 I have had this fabric in my stash for ages and had been saving it for something ‘special’. I think the time has come to finally cut into it. 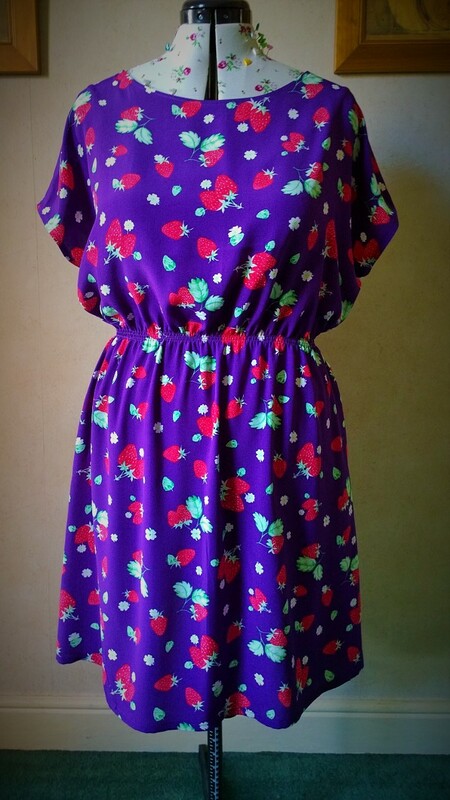 I’m planning on making the cap sleeved dress (the pink one on the right). 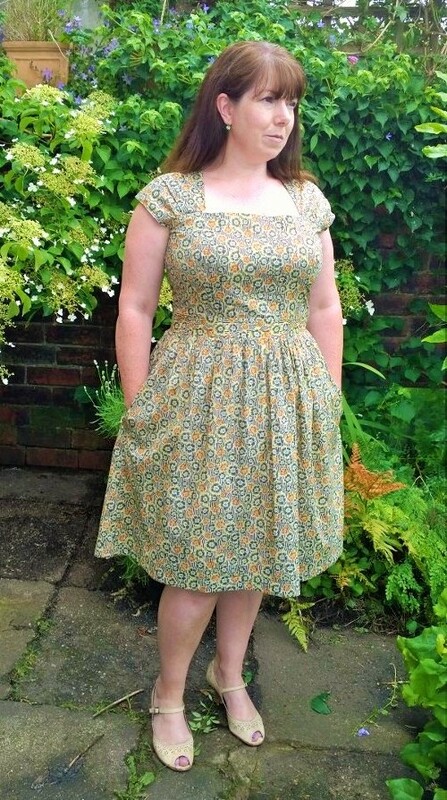 The outfit along is running from 1st June until 31st July so I’ve got plenty of time to put this dress together. 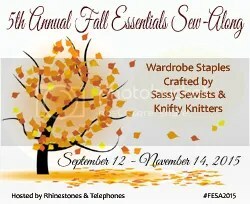 I want to get my Liberty Cambie out of the way before I start on this! 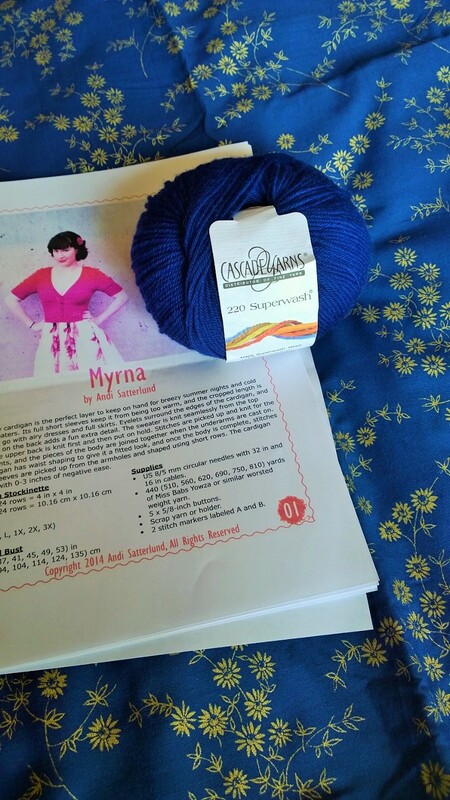 It’s Cascade 220 superwash in shade 813 Blue Velvet. 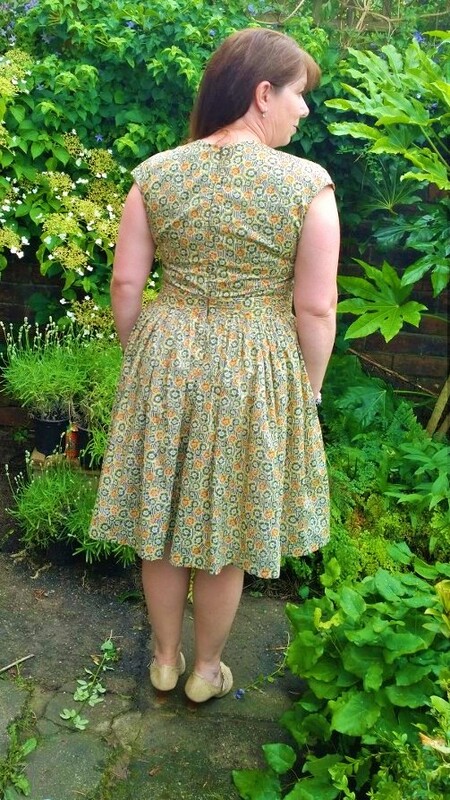 I think I’m going to go all out matchy matchy with this outfit and try and find some gold flower buttons for the Myrna! I cast on and knitted a few rows last night and the yarn does look quite nice knitted up. 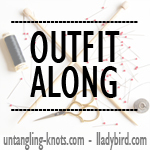 Are you planning to join the outfit along? 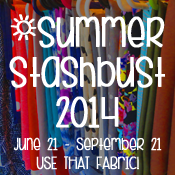 Do you plan your makes so that they coordinate with other things in your wardrobe?